Experience Grey Hackle Lodge — a rustic retreat from hectic city life. 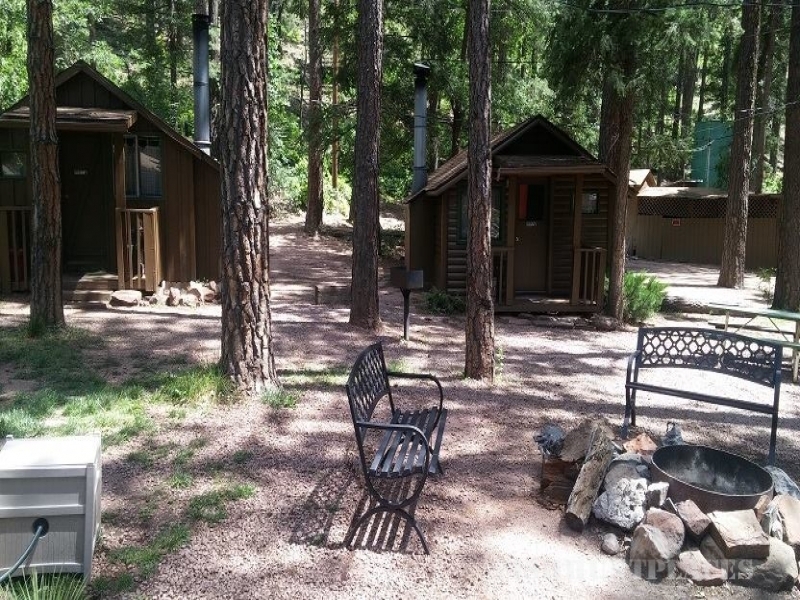 Our cabin rentals offer you an escape to the forested high country of Central Arizona. Christopher Creek, nestled under the Mogollon Rim inspires you to enjoy nature at its best. 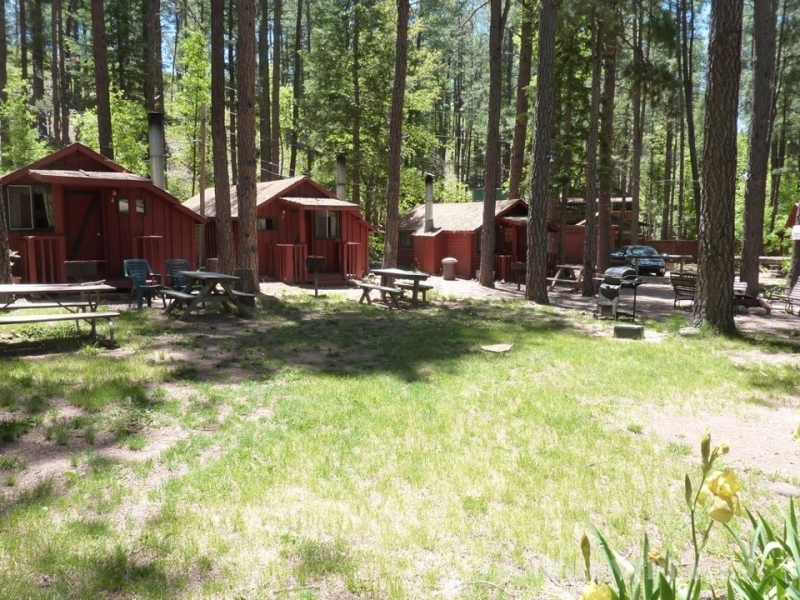 Our delightful cozy accommodations, nestled amid majestic ponderosa pines in the heart of the Tonto National Forest recreation area provide you with the opportunity to enjoy it all from your doorstep. Fishing, hiking, mountain biking, bird watching, wildlife watching and cross-country skiing are just outside your cabin! Anglers will appreciate our close proximity to area creeks, streams and lakes. Hikers and mountain bikers will delight in the variety of terrain available to test their mettle. Relax — enjoy our crisp mountain air. Cool summer temperatures, magnificent fall foliage, pristine mountain snows or the renewal of spring await you. Cook in or Cook out! We are within walking distance to area restaurants, taverns, Christopher Creek and millions of acres of the Tonto National Forest. Spend evenings star gazing as you roast marshmallows in our courtyard around the fire pit or enjoy the sounds of silence while sitting on your porch. Refresh and renew your soul! Why not make your reservation today? We’re a scenic 1 hour 45 minute drive from Arizona’s major cities and airports.